All In Together encourages, equips, educates, and empowers voting-age women to participate fully in America’s civic and political life. While American women have voted at higher rates than men in every presidential election since 1980, women’s voices continue to be underrepresented at all levels of decision making and influence. 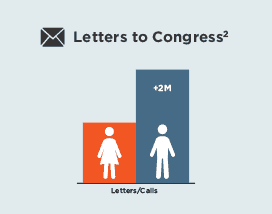 Indeed, Congress receives an estimated 2 million more letters and phone calls from male constituents than female constituents every year. 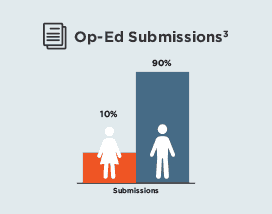 Moreover, the 2018 World Economic Forum Global Gender Gap Report ranks the United States a lowly 96 out of 144 countries regarding gender equality in political empowerment. These realities are both unacceptable and solvable. Educate. There is a civic education crisis in the United States4—but studies suggest that this phenomenon suppresses women’s political participation in particular. 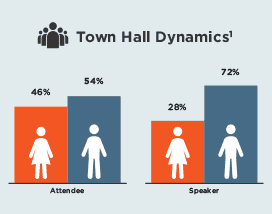 Millennial women are less likely to engage politically than their male peers because women feel they require more practical information before getting involved in politics (a difference of 14 percentage points).5 To combat the most pressing gender gaps in civic leadership, we deliver tools and trainings that translate civic education into real-world impact. Sustain. Civic leadership is a marathon, not a sprint. Founded in 2014, All In Together does not react to or align with any specific campaign or administration. It is our goal to prepare and inspire woman for a lifetime of civic leadership because a healthy democracy requires consistent participation—regardless of who is in power. Our tools and trainings were designed with the long haul in mind. Collaborate. At All In Together, we strive to leverage the expertise and experience of executives, community leaders, and policymakers on both sides of the aisle. To this end, we are proud of our growing list of corporate sponsors and community partners whose collaboration facilitates the success of our programs nationwide. We believe that we can all maximize our impact when we truly are “all in together”. Adapt. From corporate offices to domestic violence shelters, we have found that American women from all walks of life are hungry for action-oriented civic education. To best serve a diverse range of populations, we work hard to tailor our programs to the community we are entering. We are grateful to our event partners, whose local expertise is invaluable to our ability to adapt our programs to their specific needs. Uplift. Women are as diverse as this nation—but we don’t have to agree on everything to find common ground. We are committed to helping women on both sides of the aisle (as well as those somewhere in between) to raise their voices around the issues that matter to them. Likewise, we work to promote gender and racial equality, because all women must thrive politically, personally, and professionally in order to fully lead. For a truly representative democracy, all our voices must be heard. Together, we can change America. Join the Movement.